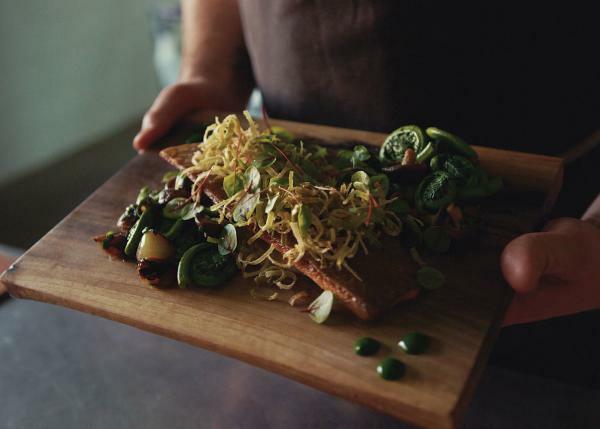 This Next Stop: Taste journey begins at SixThirtyNine in Woodstock, where Chef Eric Boyar has created one of Ontario’s most buzzed about farm-to-table dining destinations. In addition to a large family garden plot, Chef Boyar takes to nearby fields and forests to forage for unique flavours for the SixThirtyNine kitchen. Boyar also works with local suppliers, including trout farmers and cheese makers like Gunn’s Hill Artisan Cheese, to source ingredients for dishes that shine the spotlight on the fantastic flavours of Oxford County. Creative dishes like Five Brothers Cheese Arancini with Smoked Tomato Jam and Organic Basil have earned SixThirtyNine a spot on the Oxford County Cheese Trail, a delicious touring experience that offers 23 unique stops that appeal to cheese lovers of all ages. For the ultimate dining experience, consider making a reservation for the Chef’s Table dinner, where you can enjoy a front row seat to watch the culinary team work their magic. Read about a Toronto food blogger’s tasting tour of Oxford County, including a delicious meal at SixThirtyNine. 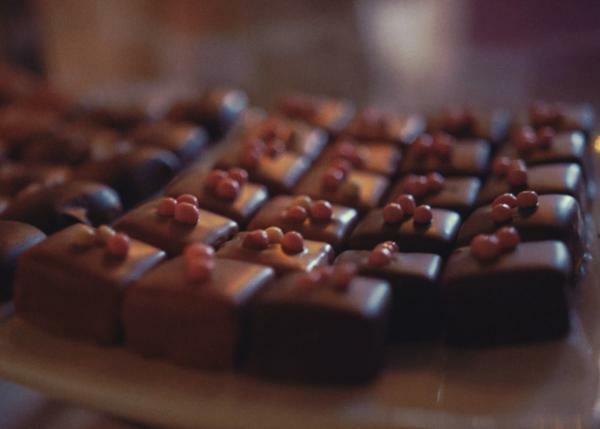 From Woodstock, make the short drive to Ingersoll to enjoy handmade chocolates with an Oxford County twist. Chocolatea Chocolatier Cindy Walker follows the artisan tradition of creating everything by hand, in small batches and without preservatives. She sources local dairy products for three of her signature caramels, as well as local lavender, maple syrup and honey for her delicious chocolates. But Cindy’s love for all things local isn’t restricted to her chocolates and caramels. She also sells beautiful pottery Matcha tea sets that are made by artisans at the Ingersoll Creative Arts Centre. If Cindy’s works of chocolate art leave you craving more, you may want to circle back to Woodstock for a visit to Habitual Chocolate. Habitual Chocolate is one of only four bean-to-bar chocolate producers in Ontario, and makes handcrafted single-varietal chocolate from cocoa beans they have sourced directly from small family farms in Costa Rica, Papua New Guinea, Nicaragua, Mexico and the Dominican Republic. From Woodstock or Ingersoll, head west along Highway 401 until you reach the beautiful city of London. Get to know a bit about the city’s history with a stop at the Toboggan Brewing Company. In the 1800’s, toboggan clubs existed all over London, attracting visitors from around the world—including famed author Mark Twain. The clubs built massive wooden ramps for winter sledding, the most impressive of which was a 485-foot double chute, located just a block down the street from what is now Toboggan Brewing Company. The brewery’s Mr. Insurance Man Blonde is another shout-out to the city, which is home to several head offices of insurance companies. Other craft breweries to visit while you’re in the London area include Forked River Brewing Company, London Brewing Co-operative and Strathroy Brewing Company, which is just a short drive from London. 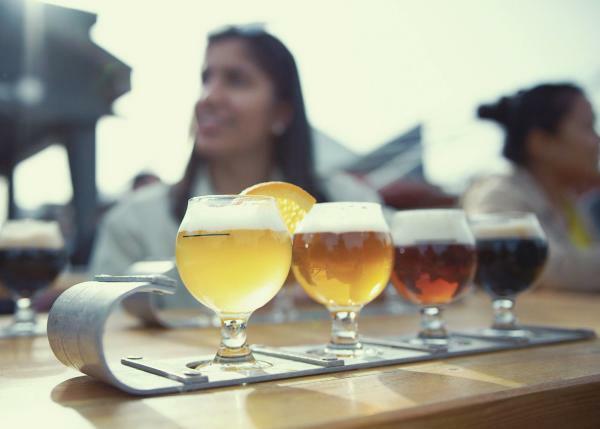 For a great day of craft beers, fresh food, beer seminars and cooking classes, plan on attending London’s annual Forest City Beer Fest, which is held each August. Other can’t-miss London events for beer, wine and food enthusiasts include the Beer & BBQ Show in June and the London Wine & Food Show in January. Read about a Toronto beer blogger’s tasting tour to London and Sarnia breweries. 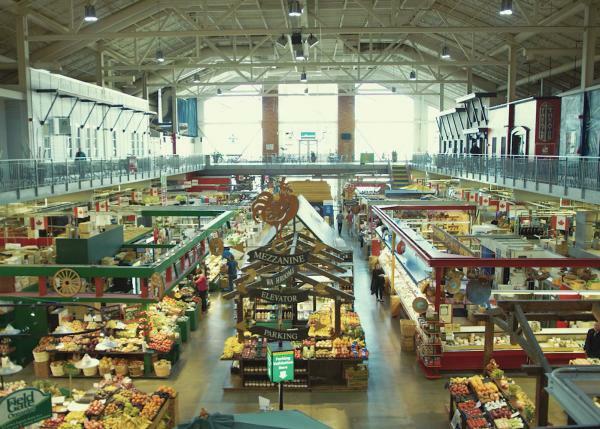 London’s Covent Garden Market is a must-taste stop for any foodie that’s looking to stock up on organic foods, award-winning meats, ethnic specialties, and the largest assortment of cheese in Southwest Ontario. With a history that goes back to 1835, this is a garden market with some serious roots! It features a great collection of restaurants that take advantage of their location to stock their menus with farm fresh produce that they source from the market. The owner of Olive R. Twists, for example, features produce from his parents’ market stall in his menu on a daily basis. Other excellent dining choices for farm-to-table fare in London include The Only on King, Garlic’s of London, Abruzzi Ristorante and Toboggan Brewing Company’s 519 Kitchen.